I've decided to expand upon my normal rotation of Video Games, Movies, and Food to do a rather focused series of posts on Doctor Who. Well, I should actually say I'm re-doing my talks about Doctor Who. When I first had produced blog posts on Doctor who two years ago, I hadn't watched all of the series and I quite frankly bungled it up pretty fiercely. So here I am making that correction. Since 2016 is, as of the writing of this, turning out to be a fairly terrible year for Doctor Who, this is my way of coping with the mountain of bad/potentially upsetting. Steven Moffat is leaving the show, they've delayed series 10 till next year, and it gets even worse for those of us in the United States...but more about that later. Instead let's focus on this great show that you should probably be watching. Doctor Who truly is a fantastic show. As with anything, it has it's superb moments and it's truly horrible moments in its 50+ years of being on the air. However, if you enjoy science fiction, adventure, history, and light comedy then I can certainly recommend the modern run of the show at the very least. Depending on your ability to stomach slow pacing, black and white, less than amazing special effects, or hammy acting then there may even be some of the classic series I could recommend to you as well. I can easily handle all of those things if the topic is good and since the topic of Doctor Who stories are usually pretty good, I have enjoyed both Classic and New Who. Hopefully I can encourage you to check out a few episodes for yourself. I'm making the assumption that the majority of people reading this will fall into two categories. Either you have no real knowledge of Doctor Who, or you are only familiar with the modern run of the series. This is part of the reason I wanted to go through the entirety of the show as I feel many people won't be familiar at all with the twenty six seasons that came prior to 2005. I shall eventually be covering every single available episode along the way in separate posts every Friday of this year, and editing in the links to them below. Please note that several episodes from 60's are lost to us still so I won't be covering anything that I can't view in some way. Today's topic is going to be an even more brief explanation of the series and the Doctors all at once as an introduction. 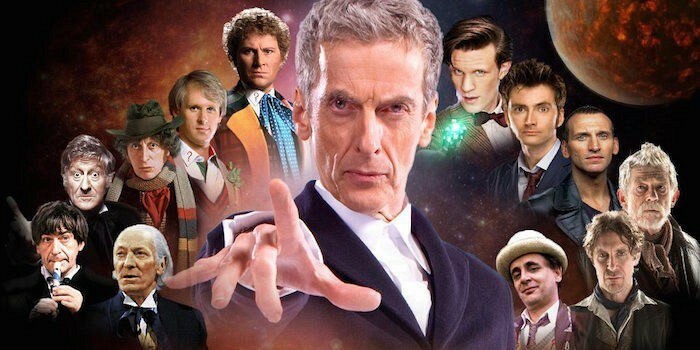 Since this one is an overview, if there's any post about Doctor Who that you should read it's this one. So pat yourself on the back for reading it! As a side note before I get started. If you don't really want to read all of this and prefer to watch videos (but don't mind swearing) then I can suggest a couple of other avenues for you. These two reviewers' work is what encouraged me to start this little adventure. The Blockbuster Buster talks about his experience with the first 11 Doctors here. While there are many heroes out there in fiction there is only one man who specializes in the unimaginable. One man who dares to take a stand against impossible odds no matter the cost if it will help save at least one person at any point in time on any planet. That man is the Doctor; his real name is unknown and shrouded in mystery, thus bringing about the question... Doctor Who? The Doctor is an alien. He is a Time Lord from the planet of Gallifrey. The Time Lords have harnessed the ability to travel through all of time but have adopted a policy of non-interference when it comes to the rest of the universe. They are content with simply observing all that is around them... all except for the Doctor. The Doctor stole a old time machine and has been running around saving the universe for hundreds of years along with the various companions who traveled the stars with him. When I say "any point in time on any planet" and "saving the universe," I truly mean that. The brilliant part about the show is that you can take any concept, any setting, or any type of plot to create an episode with. The potential is unlimited. These types of stories include but are certainly not limited to: trying to stop the Aztecs from their ritualistic killings but not being able to as it's a set part of history, being trapped in a land of fiction, an alien trapped in the middle ages stealing smart people from the future to fix his ship, a race across space and time to recover pieces of a powerful artifact, finding out what crashed into earth and killed the dinosaurs, a massive court trial from the past present and future culminating in a battle of wits in a computer, underwater space vampires from the future invading World War II, fighting ghosts with Charles Dickens, a werewolf terrorizing Queen Victoria, the revolution against aliens you forget you've seen the second you look away, and a murder mystery on the Orient Express in space! There are really only two crucial elements of Doctor Who that you need to know about prior to starting. 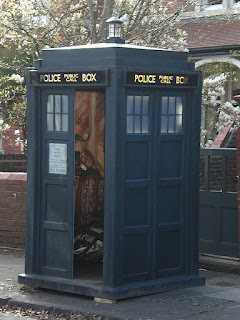 The first is his time vehicle in which he has lived for several centuries, the TARDIS. TARDIS stands for Time And Relative Dimension in Space. The TARDIS can travel anywhere in space and time. It is dimensionally transcendental, which means that the inside and the outside are in different dimensions. In other words "it's bigger on the inside." While the outside may be small enough to fit inside your living room, the inside could be as large as a planet. There's an explanation for that but I won't get into it here. The other thing about the TARDIS is that is has a chameleon circuit. Wherever the TARDIS lands, it scans the surrounding area and changes its outside shape to blend in to the surroundings and not draw attention to itself. If it were to land in ancient Egypt it could look like a pyramid; if it were to land on the moon it could look like a giant rock. 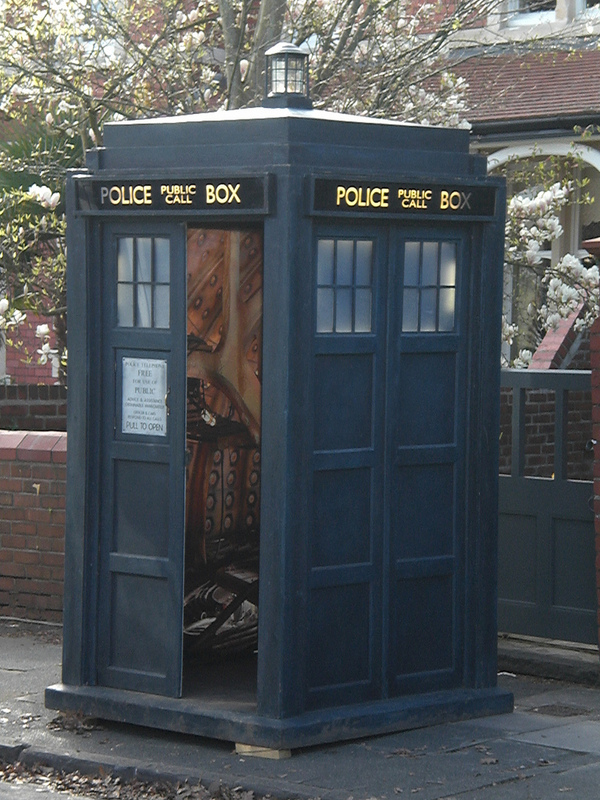 When the TARDIS first landed in London in the 1960's it turned into a police box which was common at the time. However, the chameleon circuit got stuck and it's maintained that shape ever since. 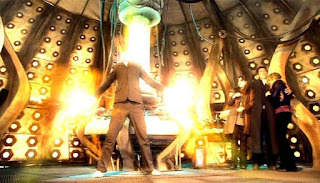 The second crucial element of Doctor Who is the Doctor's ability to regenerate. When Time Lords are at death's door they have the ability to cheat death by regenerating every cell in their body into new life. With this regeneration comes a new physical appearance, new personality quirks, and new tastes. He's still the same man with his memory, bravery, and intelligence intact, he's just changed practically everything else. Originally this was just a cheap way to replace the original actor, as his health was failing, with a new one so that they could keep the character and show ongoing, but it has actually become one of the main reasons the show has aired for so long. Each actor portraying the Doctor does so in his own way giving us different experiences depending on which Doctor you are watching. To top it off, you didn't need to keep an actor engaged in the project for several years unless they just wanted to be there. This too has allowed for the show to last over 50 years. That's pretty much all that is vital to know before jumping into any random episode of the show. You'll be able to figure things out like the sonic screwdriver and the psychic paper for yourselves. Only two things really spring to mind. When I say that the show has been going on for 50+ years, this hasn't been continual. In the late 80's several higher ups at the BBC didn't think the show was up to the quality they wanted and at several times wanted to can the show. I find this somewhat ironic because the last two seasons of the classic series were the best that the show had been in years. This resulted in not only an 18 month production hiatus, but the show's eventual cancellation in 1989. In 1996, a TV Movie was made which was to be the pilot for a new series but due to poor advertisements and difficulty getting the project going it was never picked up. Finally in 2005, the show returned properly and has been on the air to this day. st shows that we are used to. It has between 12 and 17 episodes (including specials) a year with most episodes being single episode stories with some 2 parters and the rare 3-part story. The classic series however is better described as a set of serials. Each story was broken into multiple 30-minute episodes. This means that a classic series' 4-part story is mostly the same as a modern 2-part episode, but then you have some classic stories that are 6, 7, 8, and 10 episodes long. This type of programming was not only common at the time but it was done to salvage the absolute joke that was the show's budget. However, doing so has the unfortunate side effect of making some stories seemingly drag on forever. This tendency towards long stories was especially prevalent in the first three Doctor's runs. As a general rule the 4 or 5 episode stories have far better pacing and don't drag anywhere near the amount of those in the 6-10 episode range. That's not to say that all the longer stories are bad or especially slow but the majority of them do drag. Without further ado let's take a look at each version of the Doctor and my recommendation if you wish to sample a bit of their era! Interestingly enough, the man who started this whole adventure off and made any future Doctors possible is the one that people would identify with the least. The First Doctor was old, abrasive, headstrong, and a bit of a scoundrel. He shouted often, took a very long time to warm up to his companions, threatened to beat cavemen to death, tried to throw people out of the TARDIS mid-flight... I'm not really selling him to you, am I? Despite all of these qualities the First Doctor also had a whimsical charm to him. Now he did mellow out as his seasons went on; he became less of a crotchety old man and more like having dangerous but fun adventures with your wise old grandfather. You never doubted that he would get you out of a scrape due to his boldness and you never doubted the he would try to protect you. His trademarks are his cane, a high pitched "hmph", and getting his companion's names wrong. The First Doctor lasted three seasons (and a couple stories of season 4) and his era introduced the Doctor, the TARDIS, the Daleks, the idea of having fixed points in time, the Cybermen, and the Doctor's regeneration (though it wouldn't be called that till the Pertwee era.) If you want to check out a couple of his adventures then I suggest the first episode of An Unearthly Child, The Aztecs, or The Time Meddler. Click Here for The Hartnell Era Season One. Click Here for The Hartnell Era Season Two. 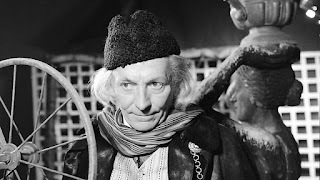 Click Here for The Hartnell Era Seasons Three and Four. 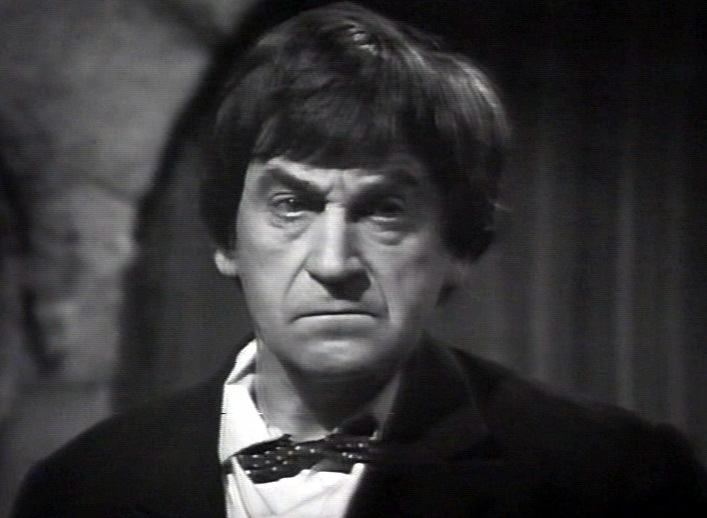 The later Doctors owe more to the Second Doctor than they do to the First if I'm being perfectly honest with you. Patrick Troughton played the character his own way thus paving the way for all future Doctors to do the same. The Second Doctor was very funny and eccentric not only in voice but also in physicality, annoying people in authority along the way. He liked to use his non-threatening demeanor and supposed buffoonery to his advantage by making his enemies believe he wasn't a threat. He would use their lowered defenses to formulate plans and ideas with simple misdirection and cunning behind the scenes. He preferred to be lighthearted but could instantaneously turn dangerous if necessary. His trademarks are playing the recorder, his Yeti-skin coat, and his catchphrase "Oh my giddy aunt!" The Second Doctor lasted three seasons and his era introduced the Great Intelligence, The Ice Warriors, Brigadier Lethbridge Stewart, UNIT, the sonic screwdriver, the Time Lords as a race, the Time Lord distress beacons, and the first truly antagonistic Time Lord. If you want to check out a couple of his adventures then I suggest The Mind Robber, The Enemy of the World, and the last episode of The War Games. Click Here for the Troughton Era Seasons Four and Five. Click Here for the Troughton Era Season Six. The Third Doctor was more like a traditional action hero than he ever has been. Though he did have a sense of humor he was much more of a no nonsense man. He drove fast cars, knew martial arts and practiced swordplay all while dressing like a dandy. He was always the man in charge and commanded authority. If you happen to catch part of his era after watching any of the previous two, then you'd be in for a shock as the show changed radically. The Second Doctor was exiled to earth and much of the Third Doctor's life was spent trapped there trying to fix his TARDIS and helping out UNIT with the alien problem of the day. 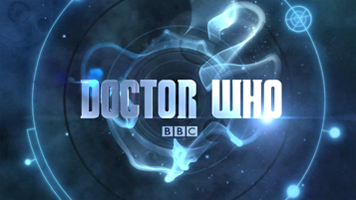 To top it off, the show was now in color and the cast was changed to a larger set of recurring characters instead of just the Doctor and his companions. Eventually his exile was lifted and we got to see this action hero out among the stars again. The Third Doctor lasted five seasons and his era introduced the Autons, the Silurians, Bessie, the Master, Sarah Jane Smith (the most famous companion), the Sontarans, the name of his home planet Gallifrey, and the term regeneration. If you want to check out a couple of his adventures then I would suggest Inferno, Carnival of Monsters, or the Time Warrior. Click Here for the Pertwee Era Seasons Seven and Eight. 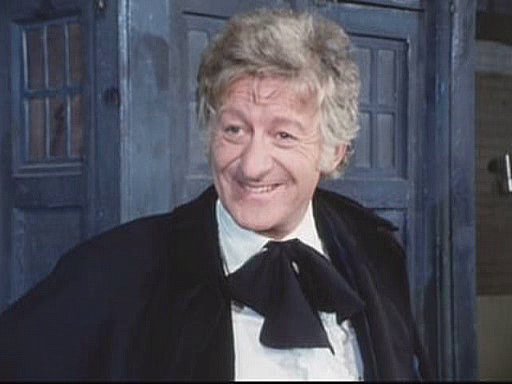 Click Here for the Pertwee Era Seasons Nine and Ten. Click Here for the Pertwee Era Season Eleven. To quote Diamanda Hagan here... "The Fourth Doctor is weird. That's the best way to describe him, weird." It's hard to talk about the Fourth Doctor without mentioning just how bizarre he is. Part of this comes from Tom Baker's own impossible personality. Four was the most alien that the character has ever been; he never lets you forget the the Doctor is not a human. While he certainly cares for his companions and is still the same man, he acts seemingly more erratically than ever before. One minute he's shouting, then he's cracking a joke, then he seems uninterested, then he's insulting, then he's congratulating. You never quite know what to expect from him and that's exactly why we all love him. 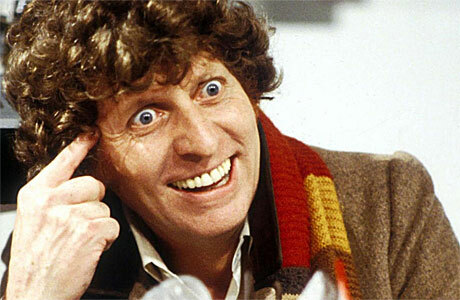 Though Tennant is the most popular Doctor from the modern show, he's nowhere near the powerhouse that is Tom Baker. His era changed in storytelling quite a bit; at first it was gothic horror taking influence from famous works, then it became quite silly and almost comical at times, then it went into straight up standard science fiction. His trademarks are his extra long scarf, his love of jelly babies, and of course asking "Would you like a jelly baby?" The Fourth Doctor lasted seven seasons and his era introduced Davros, the Cyberman's allergy to gold, the Zygons, Karn and the Sisterhood, and K-9. If you want to check out a couple of his adventures then I would suggest Pyramids of Mars, The Brain of Morbius, The Deadly Assassin, Horror of Fang Rock, or City of Death. Click Here for the Tom Baker Era Seasons Twelve and Thirteen. Click Here for the Tom Baker Era Seasons Fourteen and Fifteen. Click Here for the Tom Baker Era Seasons Sixteen and Seventeen. Click Here for the Tom Baker Era Season Eighteen. 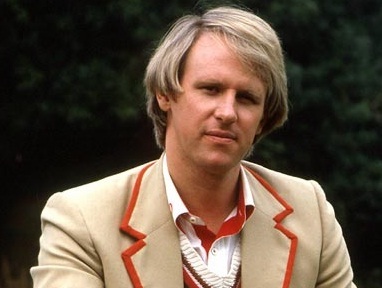 The Fifth Doctor was in many ways the opposite of the Fourth. Five was a very human acting Doctor; the first one to really be so. 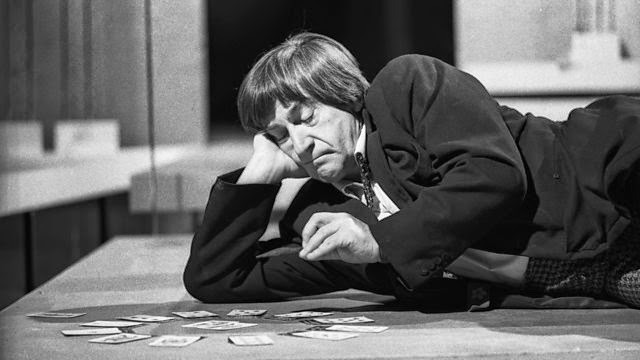 He was young, kind, gentle, noble and generally non-threatening... not in a Second Doctor way where he would lure enemies into a false sense of security though. He was just generally non-threatening and meek unless pushed to the absolute limit. He took time out of his adventure to check on the physical, emotional, and psychological welfare of his companions. The Fifth Doctor hated violence and avoided it at all cost. More often he would win the day by a combination of ingenuity, his companions actions, and sheer dumb luck. He was also the first Doctor since Hartnell to have a companion die. His trademarks were his love of cricket, and the stick of celery on his lapel. The Fifth Doctor lasted for three seasons and his era destroyed the sonic screwdriver till it returned in he McGann movie, and it had the last pure historical (a story with no science fiction elements outside the Doctor, TARDIS and companions.) If you want to check out a couple of his adventures then I would suggest Earthshock or The Caves of Androzani. Click Here for the Peter Davison Era Season Nineteen. Click Here for the Peter Davison Era Season Twenty. 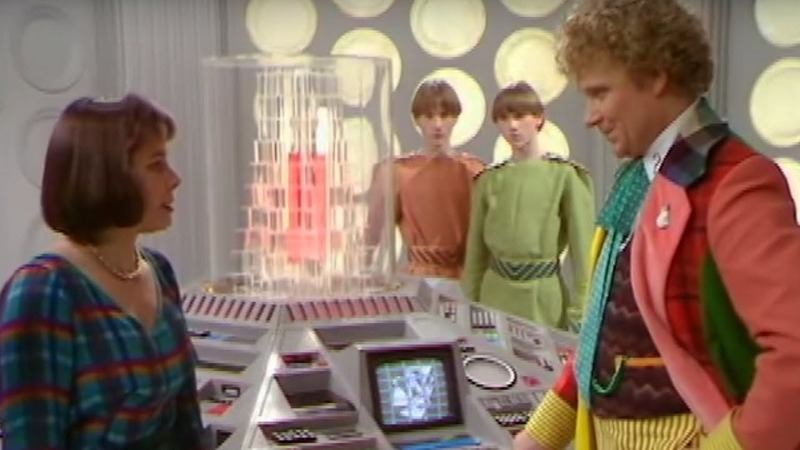 Click Here for the Peter Davison Era Season Twenty One. The Sixth Doctor is one of the more unique Doctors to have come around. Six was loud, brash, arrogant, theatrical and had an almost insane devotion to doing good across the universe. He's the kind of person who is going to save the world and he doesn't care what you think about him because he knows he's amazing. He also bears the ridiculous reputation of being the worst Doctor. That claim is absolute garbage! 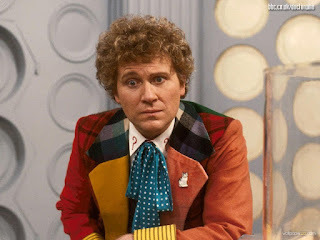 Colin Baker is an excellent actor and an excellent Doctor. It's just a shame that this unique and great portrayal was forever tarnished by the production of the show. His era is the most rocky behind the scenes as the writing was just ok in his best stories, really strange production decisions ruled with reckless abandon, the show went on hiatus, and higher ups wanted to cancel the show entirely. That, coupled with his first story, spelled doom for this Doctor and it's a shame, but I'll talk more about that when I talk about each individual story. The Sixth Doctor lasted for two seasons and his era introduced the idea of an alternate incarnation or representation of the Doctor in the character of the Valeyard... and idea later used in the modern show with the Dream Lord and to some extent the War Doctor. If you want to check out a couple of his adventures then I would suggest Vengeance on Varos or Attack of the Cybermen. Be warned however that none of Six's era are great classics; these two are just the best the show has to offer of this era. Apparently if you want the absolute best stuff from the Sixth Doctor then you should check out the Big Finish Audio Adventures...something I have yet to do. Click Here for the Colin Baker Era Seasons Twenty One and Twenty Two. To quote Diamanda Hagan once again, "The Seventh Doctor started off as a crapper reboot of Two." He was short, seemingly non-threatening, and goofy. He wasn't using this to his advantage in situations either he was just a bit of a clown for no exact reason. In between his first and second season, however, Sylvester McCoy realized that he had gotten the character wrong and between himself and writer Andrew Cartmel re-tooled the Seventh Doctor into something amazing. He began to be a master manipulator who was planning things non-stop. He manipulated enemies, played games with would-be gods, and in the process was generally five steps ahead of them. A few times we discover that he had arranged the victory before the first episode of the story had even begun though only he would have known that at the time. While he still had his quirky whimsical ways, the Doctor was much more mysterious and threatening person than he had been in several lifetimes. His trademarks are his hat and his question mark umbrella. 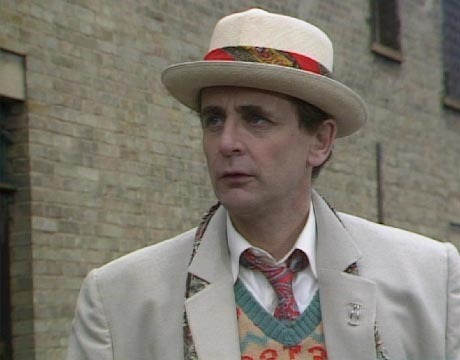 The Seventh Doctor lasted for three seasons. While his era didn't really introduce anything, the last two seasons were great; the best seasons that the show had produced since Tom Baker. His era saw the last on screen appearance of Brigadier Lethbridge Stewart in the main show, and the last two stories of his tenure can honestly be seen as templates for the new show. If you want to check out a couple of his adventures then I would suggest Remembrance of the Daleks, Ghost Light, or The Curse of Fenric. Though I have to warn you, If you choose Ghost Light prepare to be highly confused as it's still very good but almost completely incomprehensible. Click Here for the Sylvester McCoy Era Season Twenty Four. Click Here for the Sylvester McCoy Era Seasons Twenty Five and Twenty Six. Doctor Who was cancelled in 1989. As such we didn't receive any new episodes of the show until it's attempted revival with the 1996 movie starring the Eighth Doctor. Eight is probably one of the hardest to describe as he literally has only been on-screen twice. That coupled with the fact that a good portion of the movie is spent with the Doctor in his post-regeneration amnesia state. 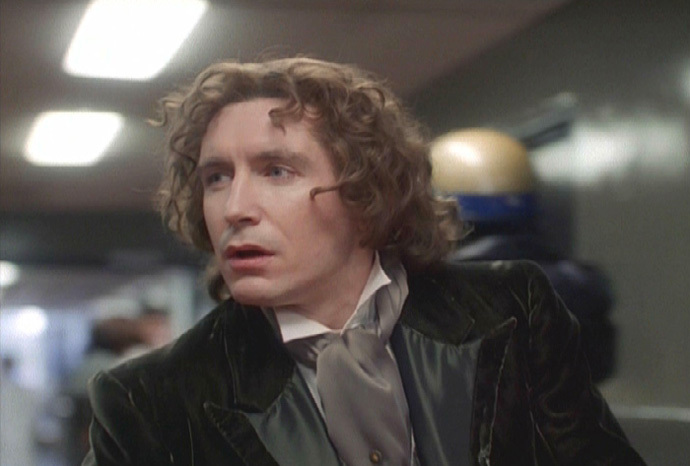 The best I can describe him, The Eighth Doctor is charming, somewhat befuddled, and full of youthful optimism and joy. In many respects, He's sort of a "reset" Doctor: the kind of man you would expect if you took all of the essential pieces of the Doctor and made him somewhat generic while still being different from his other selves. When he returned very briefly in 2013, Eight had far more confidence than we had previously seen but he was still just as charming whimsical and optimistic. I'm not sure if it's just Paul McGann being an excellent actor or what, but even though we've barely known the Eighth Doctor he's one of my favorites. If we were lucky enough to have a full season of Eight he would probably be my favorite Doctor. The Eighth Doctor lasted for one movie and a mini-episode. 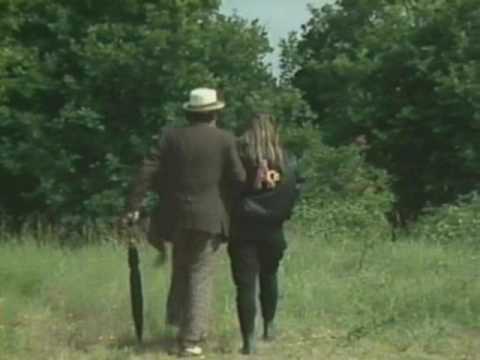 His "era" brought the show into a more modern mindset as we see him having a slight romantic relationship with his companion, a first for the Doctor. If you want to check out his adventures then do yourself a favor and just watch both Doctor Who: The Movie, and Night of the Doctor. Just a warning though, the movie looks gorgeous but it fairly often makes no sense. He also has several entries on the Big Finish Audio Adventures if you just need more of Eight. Click Here for the McGann Movie. Although we don't learn about the War Doctor until much later, his rightful place in the Doctor's personal timeline is here so I might as well cover him now. The in-universe explanation for why the Doctor was gone from 1996-2005 is that he was partaking in the Time War, a war between the Time Lords and the Daleks. The Eighth Doctor realized he couldn't run from the war anymore and gave up his name of "Doctor" in order to regenerate and become a warrior. The War Doctor has lived the horror and hardship of a non-stop war and it has affected his personality. He is a more hardened and serious individual than most of what we have been used to. In the words of the Tenth Doctor, the War Doctor has a sort of "posh gravity thing." While he always is looking for a way to end the Time War in a manner that the Doctor would find acceptable, by the time we meet him he has lost all hope and plans to kill the Daleks and the Time Lords, himself included in order to save the world. The War Doctor lasted for one episode only, the 50th Anniversay special. 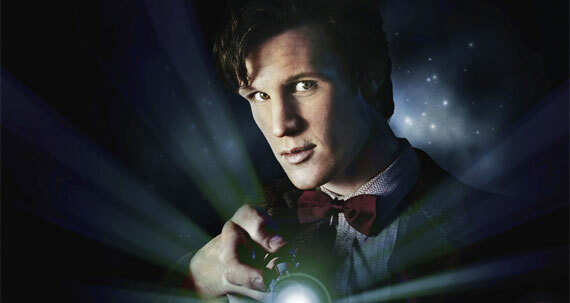 Simply check out The Day of the Doctor to see him in action. 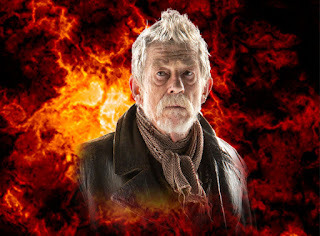 However if you want more War Doctor, so far one novel has been created involving his tenure in the Time War and the Big Finish Audio Adventures are currently working on a series of stories featuring him. The Ninth Doctor is the soul survivor of the Time War. He is the last of the Time Lords and it weighs heavily on his conscience since he caused their genocide to end the Time War (we later found out different information but the Doctor won't know this till late in the Eleventh Doctor's tenure.) As such, this is the darkest and most brooding incarnation of the Doctor we've seen. I don't mean dark and brooding in an emo teenager way, it's just that this Doctor is more distant and hurt than we've ever seen him. He embraces the darkness as he was born from war. Nine is effectively going through a sort of post-traumatic stress and has to learn to heal himself, allow others to get close to him, and love once again. When it comes down to it, all this Doctor wants is a happy ending and for everybody to live just this once. He's looking for a reason to be alive and by the end of his season, he finds it! His trademarks are his leather jacket and his catchphrase "Fantastic!" 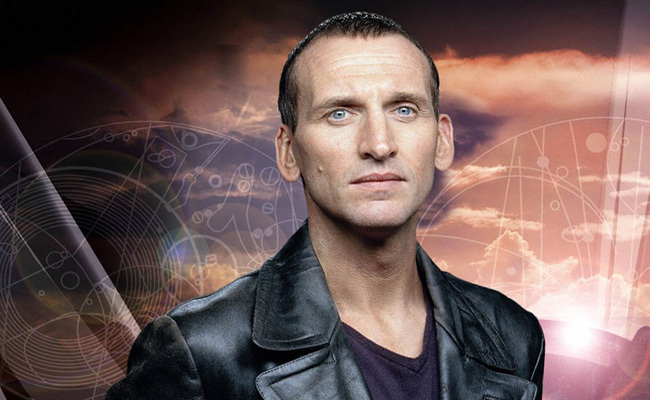 The Ninth Doctor lasted for one season and his era revived Doctor Who as a whole. It introduced the Time War and standardized the look of regeneration. If you want to check out a couple of his adventures I would suggest Dalek or The Empty Child/The Doctor Dances two parter. Click Here for the Eccleston Era Series One. The Tenth Doctor was "born" into this world with a new lease on life. His goal was to help people across the universe avoid the tragedy that he had to endure. 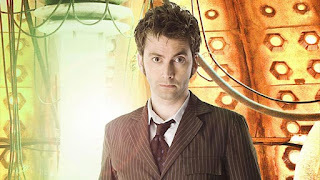 The Tenth Doctor is energetic, fast talking, kind, loving, and constantly makes pop culture references. He's around to have a good time and help people along the way. He also absolutely hates violence. In many respects he's a sort of hyperactive recreation of the Fifth Doctor but with a bit of a twist and an upped coolness factor. However there is a glimmer of darkness hidden deep within that only shows up on rare occasions, generally when he gets overly emotional or his head gets too big. He IS the Oncoming Storm after all. He's the most famous of the modern Doctors and for a good reason. His trademarks are the spiked hair, pinstripe suit and long coat, and his catchphrase "Allons-y!" The Tenth Doctor lasted for three seasons plus several specials and his era introduced the yearly Christmas specials, the Ood, the Judoon, and the Weeping Angels. If you want to check out a couple of his adventures I would suggest The Girl in the Fireplace, Human Nature/The Family of Blood two parter, or Blink. Click Here for the Tennant Era Series Two. Click Here for the Tennant Era Series Three. Click Here for the Tennant Era Specials. You never forget your first Doctor, and Eleven was mine. The Eleventh Doctor is a child trapped in a man's body. Having decided that it's better to have fun and help people rather than beat yourself up over the mistakes of the past, he has moved on from the horrors of the Time War. Eleven is the youngest face that the Doctor has been so far and his personality matches. He's eccentric and funny while occasionally being a bit flirtatious and a show-off. Eleven just wants to keep on running so that the fun never has to stop; so that nothing has to end. He gets distracted fairly easily and comes to a situation with a childlike hope that everything is going to be better than it may actually turn out to be. That being said, just like a child he can throw some wicked temper tantrums and lose his cool if you push the wrong buttons. He's a Doctor that needs companions because he's most likely to do something reckless if he's not stopped. His trademarks are his bow tie, the assortment of hats that he occasionally wears, and his catchphrase "Geronimo!" 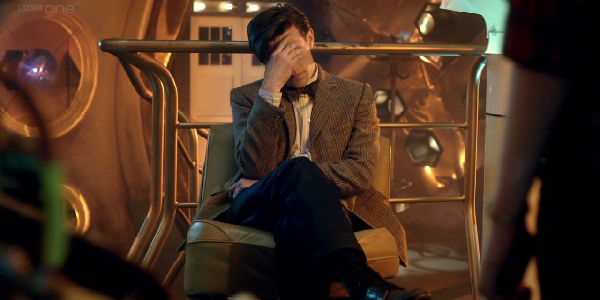 The Eleventh Doctor lasted for three seasons and two specials. His era introduced the Silence and gave us closure to the Time War. If you want to check out a couple of his adventures then I suggest The Eleventh Hour, Vincent and the Doctor, or The Impossible Astronaut/Day of the Moon two parter. Click Here for the Smith Era Series Five. Click Here for the Smith Era Series Six. Click Here for the Smith Era Series Seven. The Twelfth Doctor is a harder one for me to describe. He just sort of is who he is. In some respects he's a teenager trapped in a man's body as he doesn't really care what anyone else says/does/knows... he's just going to do whatever anyway because he's the Doctor. He has the bravery, intelligence, and kindness to tackle the situation and save as many people as he can but he doesn't really have much of a concept of people's emotional well being. They survived because of his help and that should be enough for him to worry about without having to worry about "pudding brain" nonsense. In other respects he's kind of a nostalgic Doctor bringing back elements from previous Doctors together into a new concoction while bringing up the fact that he remembers these things from his past regenerations. He started wearing velvet again like the Third Doctor, he never let's you forget he's an alien like the Fourth Doctor, He plans against the universe like the Seventh Doctor etc. He's not the easiest person to get along with but if you happen to crack that shell he will go through hell for you because there are just some people who are that special. The Twelfth Doctor lasted for three seasons and his era gave us closure as to the location of Gallifrey. If you want to check out a couple of his adventures then I would suggest Robot of Sherwood, Listen, Mummy on the Orient Express, or Extremis. 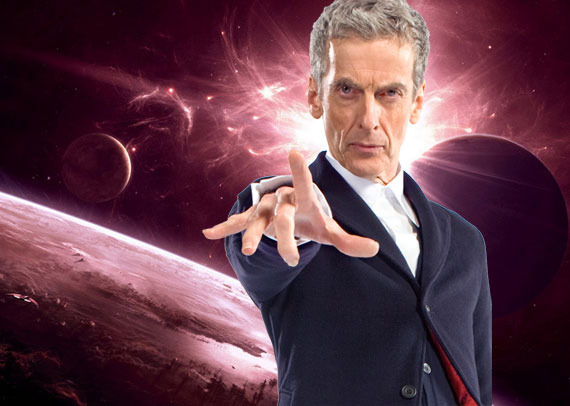 Click Here for the Capaldi Years Series Eight. Click Here for the Capaldi Years Series Nine. This will be filled out in the future. As with anything there are problems littered throughout the show. The acting and budget were often times laughable in the classic series. Much of the 80's wasn't that great for the show. The movie makes no sense. The Russel T. Davies era of modern who liked to ignore the fact that the Doctor DID use violence on several occasions, and both of Capaldi's seasons seem to be almost too focused on the companion. There's bound to be things that pop up throughout a show this long that aren't the best decision but as a general rule the good outweighs the bad... except for one single thing. For some reason it appears that the BBC holds malice against viewers outside of the UK especially when it comes to Doctor Who. Doctor Who really didn't take off in the US till around 2010 as they started promoting the show with much more vigor. So of course more people want to watch the show now more than ever as it had become more advertised and available in nerd shops around the country. While most people are satisfied with only watching the modern series there are several people really interested in the classic show. However finding the classic show is next to impossible. One could go on Netflix and find all of the modern series but when it came to the classics there were about 10-15 stories you could watch. While some of these stories were absolute classics others were seemingly chose at random. 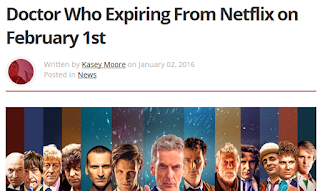 They didn't even have a single Sixth Doctor story up there. Thankfully Hulu was there for the rescue as they had every single episode of the classic show up for streaming! 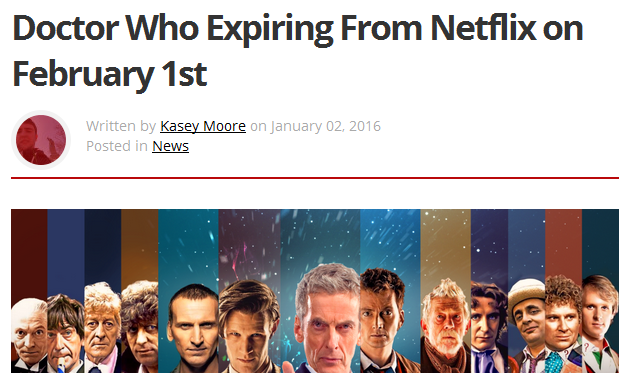 Then February 2016 happened and the BBC decided not to renew their contract with Netflix or Hulu pulling every single episode from the streaming services. This wouldn't be a problem as you can generally find someone who has the episodes up on a video streaming site but the BBC regularly checks and takes down all videos it can find. Now you CAN buy the DVDs or buy/watch episodes through Amazon. However Amazon doesn't carry the full library of episodes for watching either. It's not as pitiful as Netflix's sample but it still doesn't have everything for you to watch. What about the DVDs you ask? Well if you're willing to shell out close to $3,500 for the whole series then you're in luck. But even at that it's difficult. The BBC discontinued 19 of the available DVDs for Region 1 because of poor sales throughout the 90's and early 2000's. Again most viewers in the US weren't really aware of Doctor Who till 2010 so poor sales are to be expected when you don't promote your product. There are two stories that I still don't have because I can't find them any cheaper than $200 a piece. Now there are rumors that BBC will be starting their own streaming service for the US and would have these programs and other available to us but as of the writing of this piece, there is practically no way for your average American without a large sum of money to spend on DVDs to watch these programs. I hope this changes soon because this show is far too good to not be spread across the globe! Doctor Who really is a fantastic show with a rich history. There's simply nothing quite like it out there with the amount of versatility and imagination. I hope that this post has piqued your interest in the show or made you aware of some Who history that you previously didn't know or realize. One of the greatest pleasures of being a Whovian is bringing someone else into the fan base. If you were interested, try to track down some of these episodes for yourself so you can experience these amazing characters, planets, and stories for yourself. This page will be edited heavily as new doctors appear and I write new material. I plan on covering each and every story/episode that can be watched and placing links to those posts with their appropriate Doctor. If you want to check out my other Doctor Who content please click here.